I understand that this item is special order and cannot be returned or cancelled. 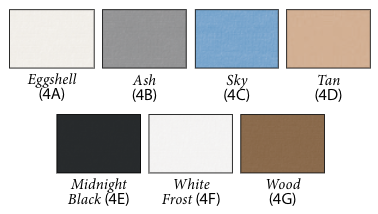 The perfect replacement for your old, worn-out awning fabric! Measure from center bolt on the camper awning arm across to the center bolt on the camper awning arm. 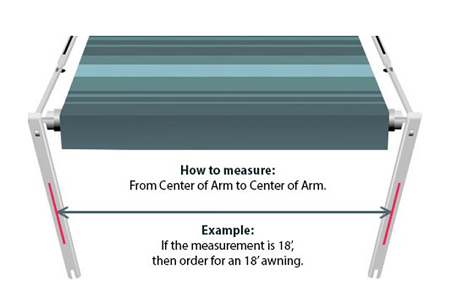 DO NOT MEASURE EXISTING FABRIC (fabric shrinks over time so measurement would not be accurate). Actual fabric size will be 10 inches shorter than what your order. For example, if you order the 15 feet RV awning replacement fabric, your actual fabric size you receive will be 14 feet 2 inches. This fabric is considered to be a special order item. It cannot be returned or cancelled once ordered due to that fact. Please make sure you are ordering the correct size when purchasing. If you are unsure of what size to purchase, please contact one of our sales representatives today! This item is a "cut to fit" item, please allow additional handling time. Typically, it takes 5-7 business days to receive this item.